Bill Bauernfeind is the founder of RedHawk Food Group. RedHawk Food Group is dedicated to providing incredibly delicious and healthy foods to consumers of all ages. Formed in 2014 by experienced food and beverage business leaders and investment, financial and operating managers, RedHawk entered into a long term license agreement with Jamba Juice, Inc. to produce, market and sell a specialized line of Certified Organic, non-GMO fruit snacks that are made with real fruit and provide 100% of the recommended daily value of vitamin C in each serving. [0:44] Bill Bauernfeind joins the podcast to talk about Jamba Fruit Snacks. [2:15] Bill talks about how they developed the flavors & the partnership with Jamba Juice. [4:15] How has this work differed from Bill’s work with Safeway and other retailers. [5:10] Bill’s proudest moment in business. Have you ever wondered what it would be like to connect with a major brand for a strategic partnership? Does that sound like a crazy opportunity that you’d never be able to arrange? It doesn’t have to be! 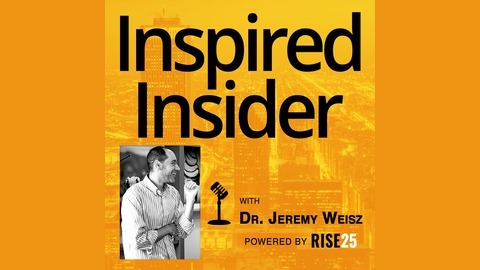 On this episode of Inspired Insider, you’ll hear from entrepreneur and business leader Bill Bauernfeind. 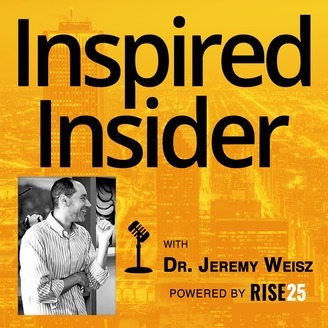 In his conversation with Jeremy, Bill talks about how Jamba Fruit Snacks got started, challenges they faced along the way, how they created a strategic partnership with Jamba Juice, and much more. You don’t want to miss a minute of this fascinating episode featuring Bill’s story! What would it take for your business to form a strategic partnership with another brand? Would you even consider that type of an offer or does that relationship lack an appeal to leaders in your industry? For Bill Bauernfeind and his team, partnering with Jamba Juice was a no-brainer. In the health and snack world, Jamba Juice has a huge following and is known as a “Trusted brand.” By connecting with Jamba Juice as a marketing partner, Bill was able to leverage their branding to promote a fantastic product. Make sure to visit their website located in the resources section at the end of this post. One of the most significant challenges for most consumable products is getting the public to take a chance on something new. Think about it, when was the last time you purchased something you’ve never tried before? Let’s face it; people are creatures of habit. To help get their product recognized and in the hands of customers, Bill and his team travel all over the country passing out samples and talking about their product. Their efforts have paid off, and Jamba Fruit Snacks are getting stocked in more and more retail stores. What lessons can you learn from Bill’s story?